The Verve is best known for either A) not being The Verve Pipe, or B) their hit Bittersweet Symphony off of 1997's Urban Hymns album. However, I think Lucky Man (from that same disc) is a much better song. 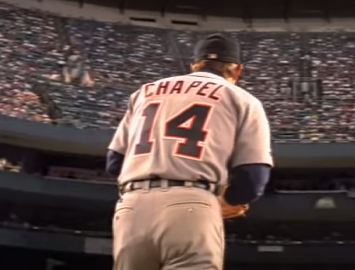 It also gets extra points in my book for being the background music in the For Love of the Game trailer (pictured). Even though For Love of the Game is Kevin Costner's third-best baseball movie, it's still got some great moments.